Place Brand Marketers in economic development organizations and their Agencies are enamored with social media as a low cost way of communicating their place brand promise to relevant target audiences. As a consequence, the use of social media in economic development has increased dramatically. It’s free. Of course, this is nonsense because an effective social media effort is very time consuming. In a very real sense, time is money. It creates a dialogue. This is certainly possible, but in my experience few communities actually use social media in this way. Most simply use it to push positive community news out in hopes it will be read and ideally go viral. In reality if the news is positive it rarely does. You can easily leverage brand advocacy. This is another possible use that most communities ignore because it takes a fair amount of work to create a network of advocates and enroll them in communicating your community brand promise. Most communities simply hope positive advocacy spontaneously happens. Inevitably they are disappointed. It helps establish a brand character. This is definitely possible. But, it requires a high degree of branding discipline that few communities actually exhibit. For example, it minimally requires the Mayor’s Office and the economic development organization to consistently be on the same page with respect to messaging. Most communities I have worked with identify this as a real challenge. Great referral mechanism to build website traffic. This is definitely valid, and one of the easiest to achieve, But, it is the benefit most often neglected. For social media to generate website traffic, a link to the website must always accompany the message. The results of this study can be used to infer negative news about your community will get significantly greater exposure than positive news. They found it took the truth about six times as long as flashed to reach 1,500 people. They found false news stories were 70% more likely to be retweeted, and untrue stories had more staying power. In 2015, Moz did a study looking at the impact of negative reviews on businesses. They concluded companies need to take negative reviews seriously because it impacts consumer perception and erodes brand equity. The more bad reviews and the negative impact increases at an exponential rate. Of course, social media is here to stay, the genie is out of the bottle and it is impossible to put it back in. 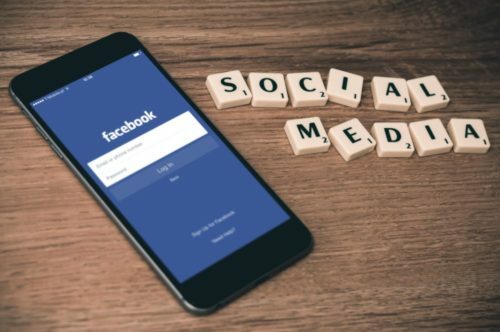 So the question isn’t whether it should be used in place branding or not, the real question is how to properly manage social media as a component of your overall communication mix. One approach to consider is ensuring somebody is specifically assigned responsibility for your community’s online reputation management to an employee in either the local economic development department office or the Mayor’s office. This person can use tools like Google Alerts or SocialMention to keep track of what is being said about your community. It is important action be taken when negative news about your community is discovered. You need to respond instantly and directly. There is an emerging body of work related to media representations of places (both social and traditional media). The Place Brand Observer (a publication I recommend) published an article on the subject. But, more research is clearly needed to better understand the impact of social media on place brands. Unfortunately, most of the research being published is in reference to business reputation. So, what do you do? At a minimum, make it a point to understand your community’s social media presence and reputation. Do some online research about your community to see what prospective company site selectors and people considering moving to your community are finding. If you don’t like what you see, create a purposeful strategy to offset the negative news with authentic positive news about your community. If you really don’t like what you see (or you are facing a real crisis), consider hiring a public relations professional to help steer you in the right direction.